Biofreeze Pain Relieving Gel with ILEX is great for stiff joints, aching muscles, and arthritis. 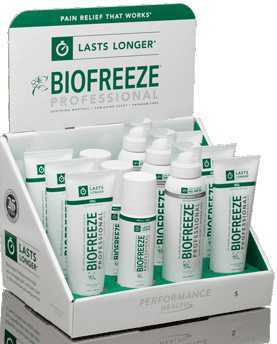 Biofreeze penetrates deeper and gives longer relief than most other analgesic gels. Featuring a vanishing scent, Biofreeze is a Pain Relief that Works! Bulk Pricing Available to Licensed Professionals.